When To Change Your Tires? The Answer Is Sooner Than We Think! When To Change Your Tires? The Answer Is Sooner Than We Think! When To Change Your Tires? The Answer Is Sooner Than We Think! 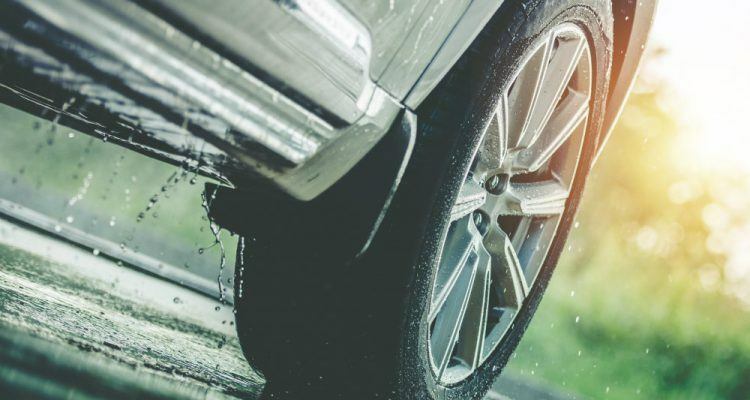 Tires can be an “out of sight, out of mind” component on your vehicle, but worn tires can be hazardous, especially during an unexpected downpour. 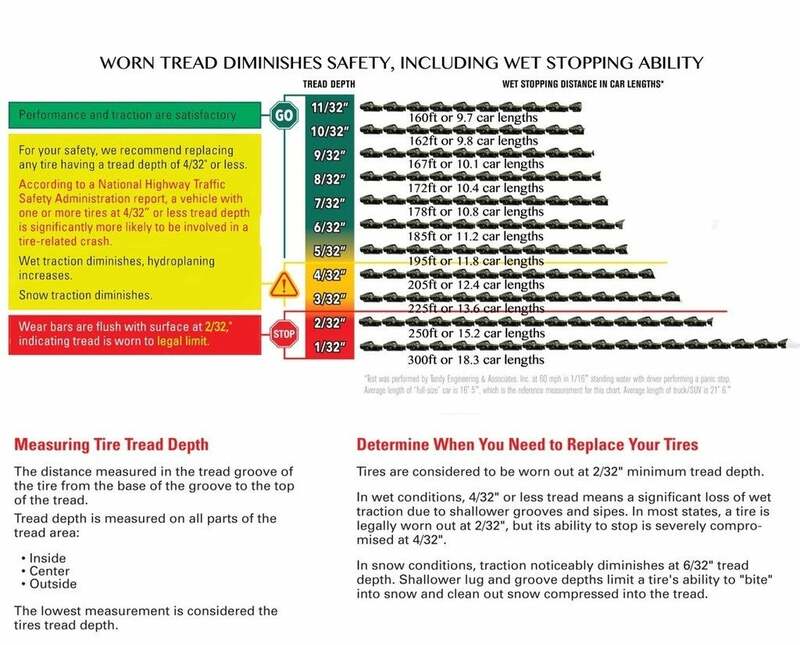 New research from AAA finds that driving on relatively worn tires at highway speeds and on wet surfaces can increase stopping distances by nearly 90 feet. That’s more than the length of an eighteen-wheeler. In partnership with the Automobile Club of Southern California’s Automotive Research Center, AAA conducted testing to understand performance differences at highway speeds between new, all-season tires and those worn to a depth of 4/32″ on wet pavement. The study examined both passenger cars and light trucks. When the rubber met the road, the passenger car exhibited an average increased stopping distance of 87 feet, versus 86 feet for a light truck. The study also found a 33 percent reduction in handling for a passenger car and 28 percent for a light truck. Current industry guidelines and state regulations often recommend tire replacement at 2/32″ depth, if there are any guidelines at all. AAA’s research found such recommendations can vary greatly from state to state. During my time as a Service Advisor, our dealership in South Dakota suggested replacement at 3/32″ but AAA says at 4/32″ stopping performance has already decreased. 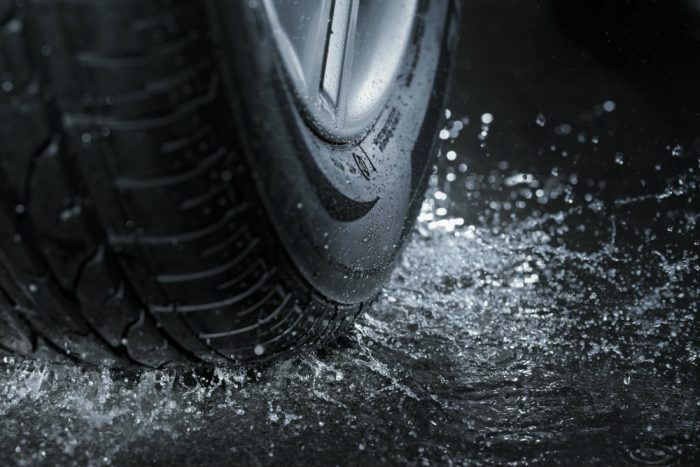 And when it comes to wet pavement, the lower the tread depth, the more likely a vehicle will hydroplane. If during a routine oil change, your tires are found to be worn, should you replace them immediately? Budget permitting, yes, but if you cannot that day, it’s best to schedule it as soon as you can. 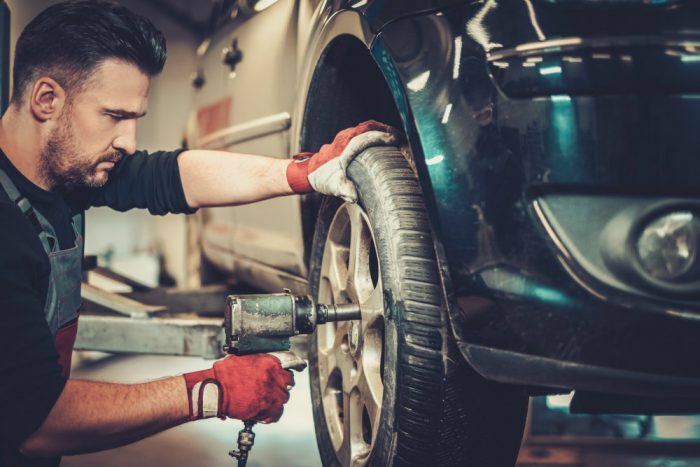 “With newer cars going longer intervals between routine maintenance at automotive service facilities, drivers may not become alerted to the fact their tires are too worn until it’s too late,” Nielsen warned. 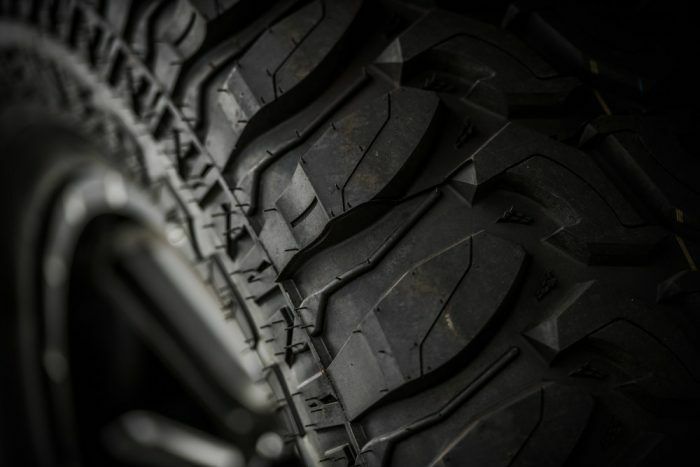 While AAA’s research determined tire performance fluctuates by brand, price is not necessarily an indicator of quality, which might come as a relief to some consumers. According to AAA, once worn, performance for all tires tested deteriorated significantly, even those priced higher. AAA says to research tires carefully and never buy one brand based solely on price. Grade also notes that certain vehicles require certain tires. As for finding the perfect tire, the best route might be to simply get a feel for what others are saying. In order to reduce your chances of a collision during rainy weather, AAA recommends reducing your speed and to avoid hard braking and sharp turns. Drivers should also keep their distance between vehicles in front of them and resist the urge to use cruise control in order to respond more quickly if needed. If you start to hydroplane, gently ease off the accelerator and steer in the direction the vehicle should go until traction is regained. There are a few home remedies you can employ too. If you don’t have a tread depth gauge, grab some loose change. 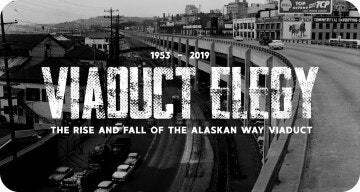 “Slip an upside-down quarter between your tire grooves and look at Washington’s head – if you can see all of it, it’s time to start shopping for new tires,” Nielsen said. No Comments on "When To Change Your Tires? The Answer Is Sooner Than We Think!"